The Immediate Response Program has been developed to help families come up with solutions to problems that will enable them to live together successfully. The program’s objective is to support everyone in the family by dealing with concerns promptly and in a way that encourages the family to be connected to their community. Families who are experiencing crisis as a result of parent-teen conflict, who are referred by a social worker or probation officer. Our staff will meet with you in our offices, in your home or in the community. Our hours are flexible and our staff will work with you to determine meeting times that work for everyone. A counsellor arranges to meet with you once a referral has been made by your social worker or probation officer. Hours are flexible and designed to meet your needs. 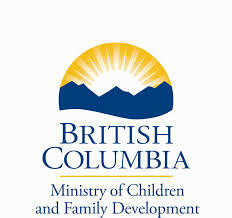 Surrey Ministry of Children and Family Development (MCFD) Social Workers or Probation Officers will make referrals to the Program. Fill out this referral form and one of our workers will be in contact with you soon.